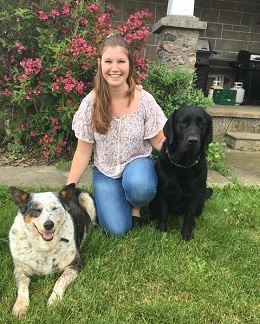 Pam graduated from the Veterinary Technician program at Seneca College in 2017 and joined Campus Estates Animal Hospital in May 2017. She lives on her family farm with dairy cattle, and has two dogs, two cats, and a bunny. When not at work she enjoys helping out on the farm, being outdoors with the family dogs, Roxy and Nova, and being surrounded by family and friends.